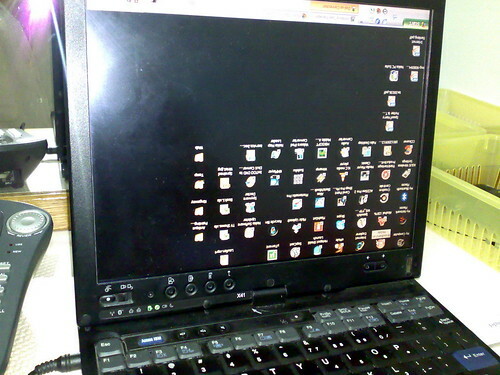 JayWalk - All Your Xmms Are Belong To Me: My Laptop Is Possessed! Sue The Catholic Church! It's one of those days where my laptop go nuts on me. Just thank God it didn't slither like a snake nor marched like a chao recruit. eh i think that's quite cute what. if it happened to me i'll be giggling. o.O *guffaws* This is damn funny! haha. How'd you resolve it in the end? Ahtiong73, msvindicta, sh, merryfeet: Actually, this is due to the fact that my laptop is a tablet and as such the orientation of the screen moves according to where you are in laptop mode or tablet mode. 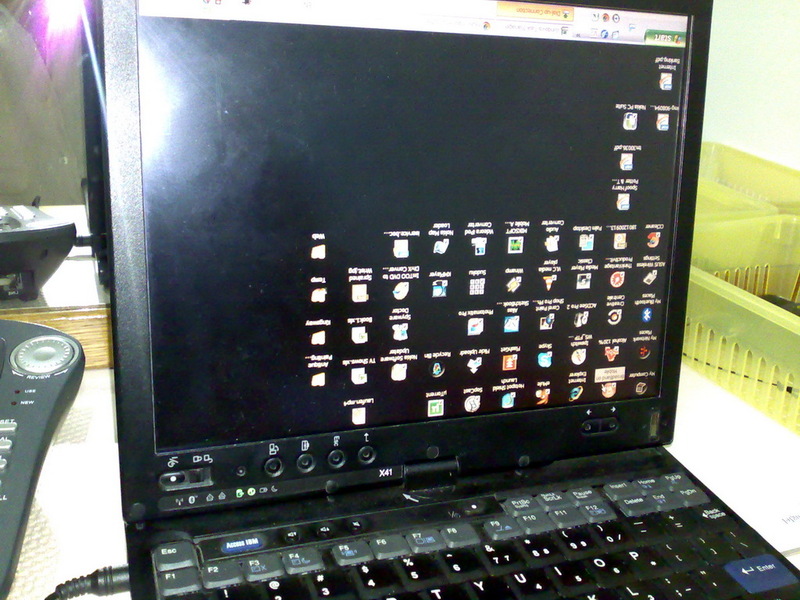 It was one of those day where I switch back to laptop mode but the screen didn't follow suit. You see the 4 round buttons below the screen? The left most is the "orientation" button. Press that and you get back to laptop mode.